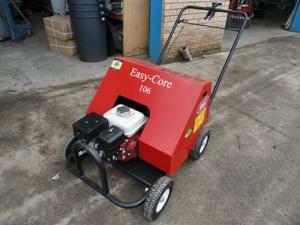 This is one of the latest in hollow tine machines produced by redixm the EASY CORE 106 and is designed for large bowling greens golf courses big gardens and lawns. 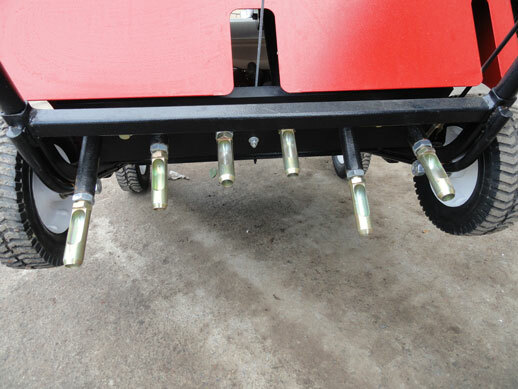 It is powered by a Honda 5 hp petrol engine which drive each of the 6 cores into the ground and driving the corer forward. The handle folds to allow fitting into an van This machine is a must if you have drainage problems in your lawn.